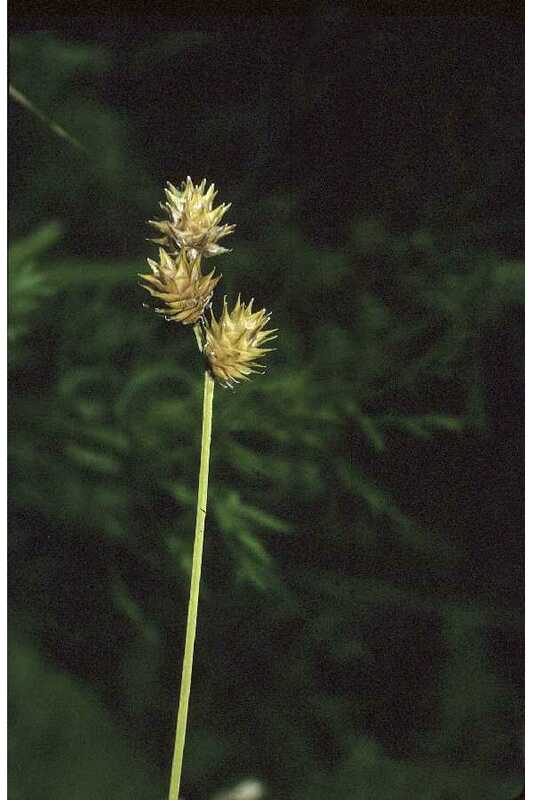 Carex straminea inflorescence. Robert H. Mohlenbrock, USDA-NRCS PLANTS Database / USDA NRCS. 1995. Northeast wetland flora. plants.usda.gov (Accessed 12/2017). Carex straminea is a perennial sedge 40-100 cm tall, in dense clumps, basal leaves bladeless, sheaths green-veined. Leaves with blade 0.2-0.3 cm wide, shorter than flowering stem. Carex straminea perigynia. Steve Hurst, hosted by the USDA-NRCS PLANTS Database. plants.usda.gov (Accessed 12/2017). 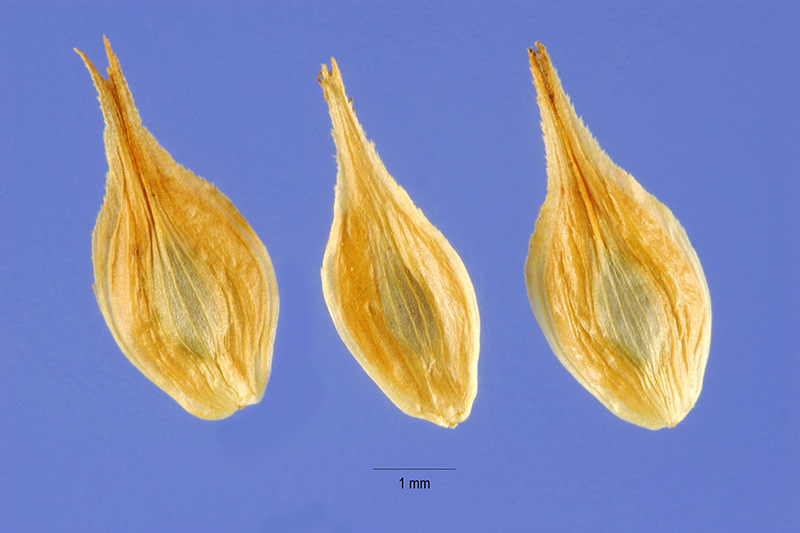 Flowers: male flowers at base of spike, upper, female, portion rounded to oval, 0.7-1 cm long, scales smaller than perigynia, pale brownish, perigynia very flat, beak toothed , achene lens shaped; inflorescence of 4-8 spikes, on the uppermost 3-6 cm of the stalk, the lower ones well separated; blooms and fruits mid-May-early July. Habitat: Freshwater marshes, wet meadows, soil pH 4.7-6.9, tolerant of anaerobic soil, fire, shade, intolerant of drought, and salt (USDA, NRCS 2010).